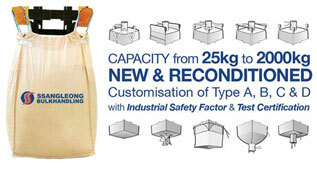 Ssangleong has evolved from a small bulk bag trading firm in 1981, when such bags were much unheard of; to a full-fledged company, manufacturing and exporting a wide range of Industrial Packaging Products, such as Ssuper Sack (also known as FIBCs, Jumbo Bag and Bulk Bag), Container Bulk Liner and IBC Tank. All our products are manufactured from approved materials that have passed rigid testing and inspection routines as well as meeting high quality and contamination conscience standard of the International Food and Pharmaceutical Grade Industry requirements. These international benchmarks bear our testament to the excellence we provide. With more than 33 years of experience in the field, Ssangleong has established a sovereign reputation within the industrial packaging environment. Ssangleong's belief is to provide customers with high quality service including customised solutions for bags, artwork and warehousing matters. Product making is carried out with equipment built upon the latest technology. Insistence in quality has led Ssangleong to place strong investments in sophisticated machinery for every stage of the manufacturing process. Our desire to improve and leverage the quality of our products induces us to constantly evaluate our products for possible design improvement. Staffed by polymer specialists and engineers who tenaciously work on new blends and process conditions, we live to improve our product to enable customisable solutions for you. With every Ssangleong product, you can be assured of its quality. Right from the raw materials chosen, to the making of bags, and the prompt delivery to your doorstep, Ssangleong takes utmost care of each stage of process. clients over the globe. Ssangleong products are made to your very own specification. Our years of manufacturing experience guarantee that no request is too demanding for us. Today's industrial world is unpredictable, filled with ever-changing needs and unyielding demands. In such times, Ssangleong is well prepared to provide you with new and innovative solutions. Feeling lost among the multitude of products? 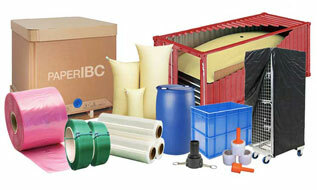 We are accomplished to recommend the right product for your objective needs. Ssangleong's expertise with industrial packaging products has satisfied a wide range of industrial clients over the globe.